Paint spray kit, genuine Mazda Crystal White, 34K NM01340-34K. 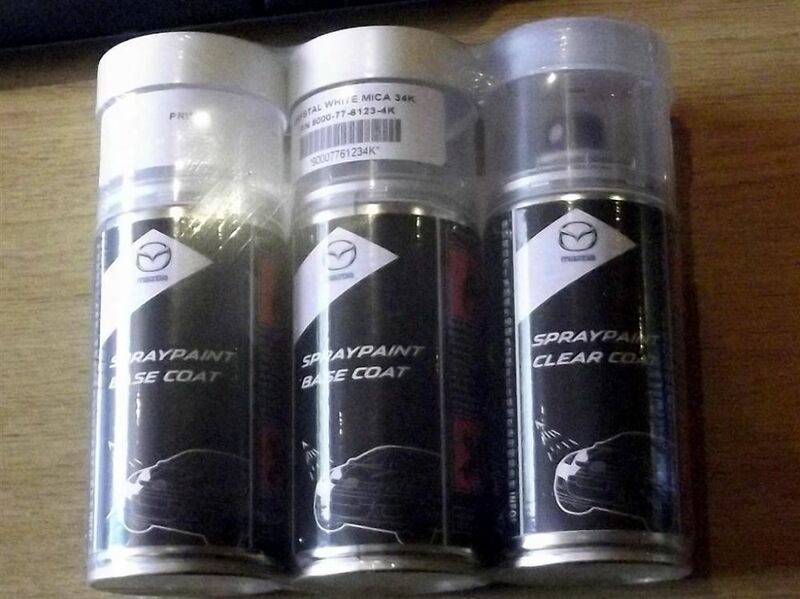 Genuine Mazda paint spray set. Kit contains 3 x 150ml aerosols, one containing the primer, one the base coat and the other the clear laquer coat, it also contains a brush for touching in small areas.